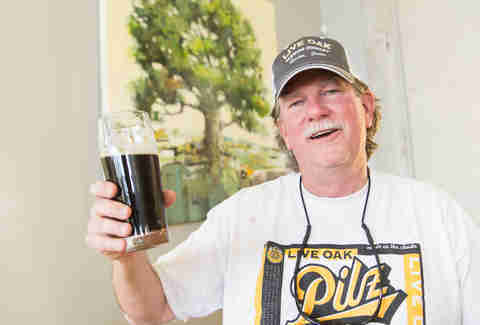 If you're meeting Live Oak founder Chip McElroy at his newly opened taproom, you might have to wait a few minutes. The founder of one of Austin's first craft breweries notoriously moves at his own pace -- taking 19 years to finally can his beer -- and also, his tractor might have blown a gasket on the other side of the property. The expansive two-acre property located just north of the airport is still a work in progress. Just like with the rest of the brewery, Chip takes a hands-on approach, physically clearing the way for a forthcoming disc golf course and nature trails. Luckily, after a day's work outside, there's 10 taps of beer waiting. 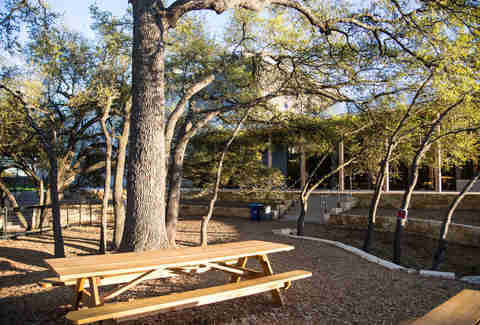 Anyone who has visited a bar in Austin in the last two decades should be familiar with Live Oak. But until this spring, the only option for enjoying authentic lagers from the trailblazing brewery was on tap. 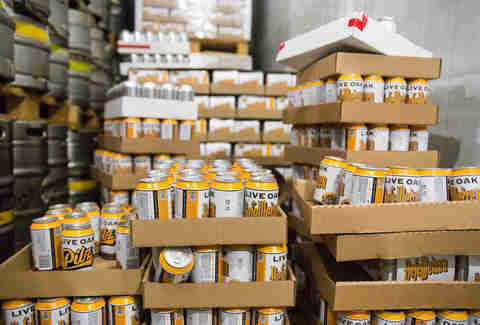 While it may seem odd that Live Oak hadn't packaged its beer until recently, it makes sense given the historical progression of the brewery. When Chip began homebrewing in the '80s, the only place to buy ingredients was Wheatsville Co-op. He left to pursue a biochemistry PhD in California, then returned to see the growth of iconic '90s beer nerd fixtures like Austin Homebrew Supply and the Austin ZEALOTS brewing club. Despite growing popularity, normal Austinites were still skeptical. “People were like, what's this microbrewery business? Are you making this in your bathtub? Nowadays you just hang a shingle and you can sell tons of beer,” says Chip. 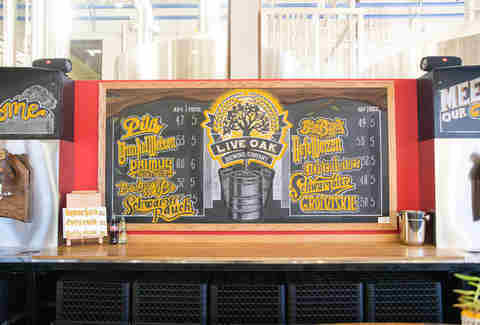 Live Oak opened in 1997 and set itself apart from other crafty fledgling breweries by eschewing the popular pale ales and porters of the time, instead focusing on a realm shunned by beer nerds as macro territory: the lager. The first beer was the classic Pilz, shortly followed by the HefeWeizen, whose complex flavors were a far cry from the American wheat beers like Pyramid that most consumers were familiar with. Austin's taste buds got acclimated to the more traditionally Bavarian HefeWeizen, and it became canonized in the taplines of beer bars across town. With the exception of some minor distribution in Houston, it's still largely brewed for and by Austinites. 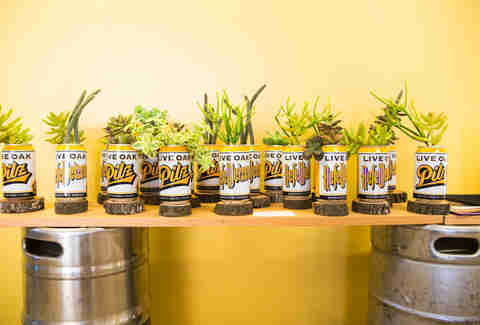 Most successful craft breweries hold a 60/40 ratio of packaged to draft beers, making Live Oak's success as a draft-only brewery a true outlier. For years this was because the brewery simply couldn't make enough to sell elsewhere. “When we started off, we were limited by our fermentation and conditioning tanks, and at various times by kegs, but we'd buy new tanks and we could make more. Eventually we just filled up the place, and then we had to move,” says Chip. 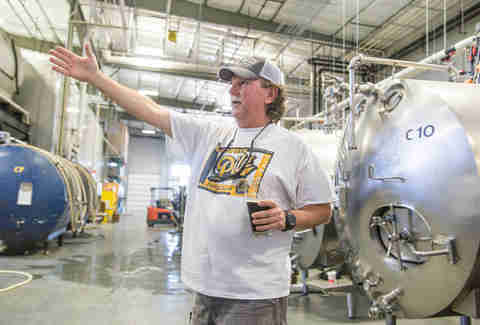 The new brewery solves that problem, enabling Live Oak to brew roughly 10 times as much beer, with space for a canning line capable of cranking out 3,600 beers an hour. 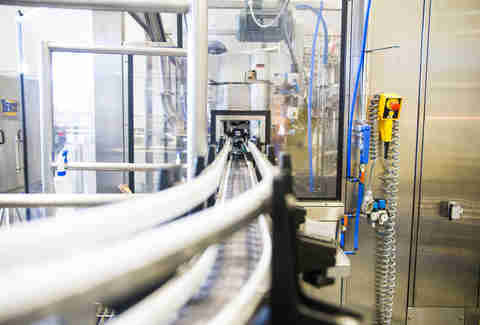 The HefeWeizen was the first off the line, and the Pilz was ready shortly before SXSW. 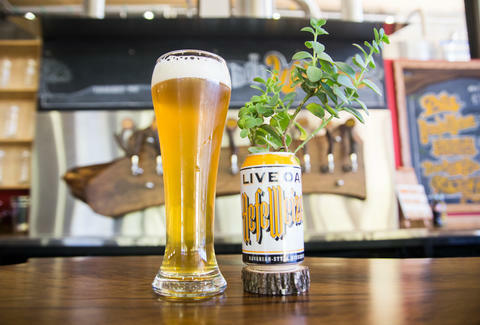 Contrary to prevailing attitudes on banking on out-of-towners, Live Oak held onto the release until later in the spring because it would've sold out during the festival. “There's a lot of people that have been clamoring for the Pilz. We're eager to sell it to Austinites, and eventually we'll get it out to the rest of the world, but we didn't know if we'd have enough," says Chip. Dan Gentile is a staff writer at Thrillist. Live Oak Hefe is his favorite local beer, behind Lone Star. Follow him as he staunchly clings to his out-of-state macrobrew at @Dannosphere.